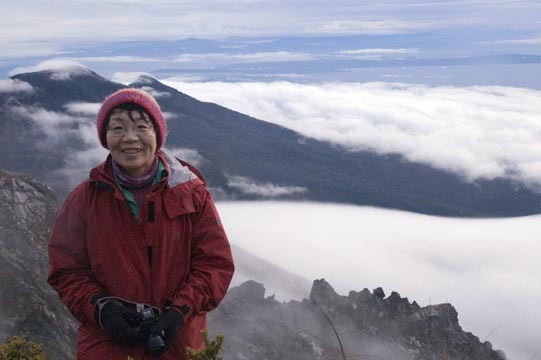 That was the situation on May 16, 1975 that confronted Junko Tabei as she attempted to become the first woman to conquer Mount Everest, according to the Japan Times. Upset that there had been no mention of this treacherous path as she prepared for this ascent, she gritted her teeth, and with her Sherpa guide, made her way on a ridge with the narrowest margins for error. Tabei survived Everest, but could not survive time. She passed away on October 20 at the age of 77. Since Edmund Hillary became the first to reach the summit of Mount Everest in 1953, Tabei would become the 36th person. She would also become the first woman to climb the so-called Seven Summits: Kilimanjaro in Tanzania, Aconcagua in Argentina, McKinley (Denali) in Alaska, Elbrus in Russia, Vinson Massif in Antarctica, and Carstensz Pyramid in Indonesia. Japan is a mountainous land and so mountain climbing is popular among all age groups. And with the growing global popularity of sports climbing, the IOC granted Tokyo2020’s request to make that sport’s debut at the Tokyo Olympics in four years. There’s really no comparison between the Olympic-sponsored sports climbing events and the death-defying challenge of the Tabei’s of the world. But her spirit to ascend will always be an inspiration, at the climbing walls of the Tokyo Games and beyond. Posted in Gender, Japan, Tokyo 2020 and tagged Edmund Hillary, Junko Tabei, Mount Everest, obituary, sports climbing, Tokyo2020. Bookmark the permalink.